How to build a Social Media Marketing Plan in 5 Steps? A social media marketing plan is the summary of everything you plan to do and hope to achieve for your business using social networks. To make plan towards success path is to audit of where your accounts are right now, how far will be your journey to achieve your goals and all required tools you want to use to get there. Try to keep in mind don’t make your social media marketing strategy so lofty and broad that it’s unattainable. 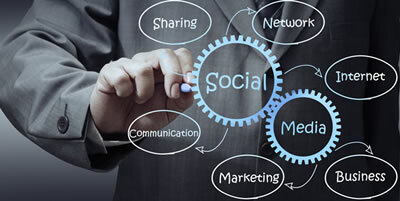 Here is some uncomplicated strategy that helps to Build a Social Media Marketing Plan. For any business the first step in social media marketing is establishing the objectives and goals that you hope to achieve. Without goals, there is no meaning of gauging success or proving your social media (ROI). Focus on advanced metrics such as leads generation, web referrals, and conversion rate. Creating your social media marketing plan is the first priority, you need to assess your current social media usage and how it’s working. you need to rate your current social media use and how it’s working. Once you’ve conducted your audit you should have a clear road map of every social account representing your business, who runs who controls them, and what purpose they serve. After completing your social media audit, it’s time to mold your online presence. Choose which networks best meet to achieve your social media goals. If you don’t have social media profiles on that network, focus on build them with your broader goals and audience in mind. Each social network has a unique audience and should be treated differently to walk you through out that process. Create the calendar and then schedule your messaging in advance rather than updating constantly throughout the day. Having great content to share will be essential to succeed in social media. Your calendar lists the dates and times to publish blogs, Instagram and Facebook posts, Tweets, and other content you plan to use during your social media optimization. We cover with all steps for getting your social media marketing plan together from setting objectives and goals, to create a realistic content calendar schedule from our social media professionals at Digitalatrium. For more information drop your query to step ahead SMO and SMM.